The BMW 6 Series Range: Breaking New Ground in the Segment – The World’s Sportiest Six-Cylinder Diesel Engine and BMW xDrive Intelligent All-Wheel Drive. 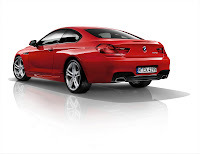 The market launch of the new BMW 6 Series Coupé in autumn 2011 will be accompanied by the arrival of additional engine variants for the new BMW 6 Series Convertible. Making its debut in the two models is the world’s sportiest six-cylinder diesel engine, a 3.0-litre unit with BMW TwinPower Turbo technology and output of 230 kW/313 hp. 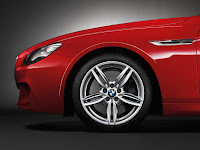 For the first time, the BMW 6 Series will also be available with BMW xDrive. The electronically controlled intelligent all-wheel-drive system will give the BMW 650i xDrive Coupé and BMW 650i xDrive Convertible unbeatable authority, traction and directional stability in all road and weather conditions. The list of upgrades in the new BMW 6 Series Coupé and new BMW 6 Series Convertible will also include a number of innovative equipment features. 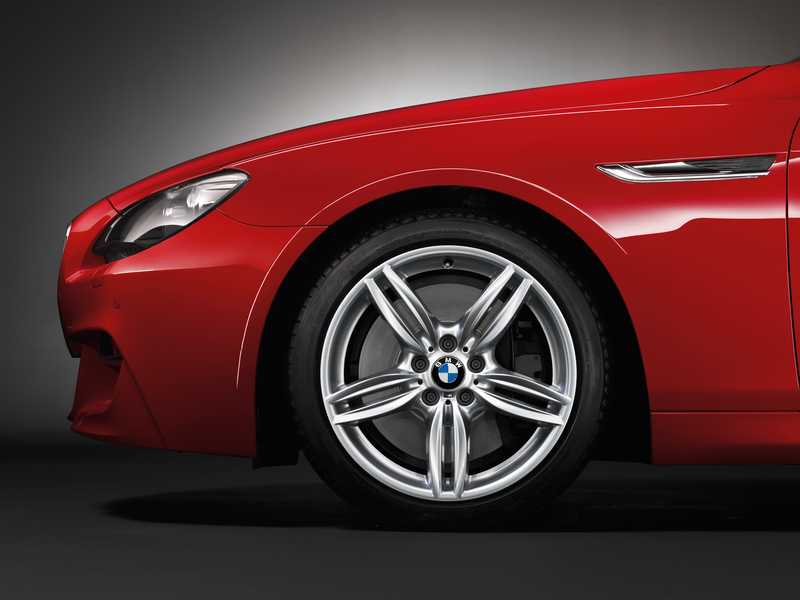 BMW 640d Coupé and BMW 640d Convertible: instantaneous pulling power, unsurpassed efficiency. The launch of the BMW 640d Coupé and BMW 640d Convertible sees BMW setting another new benchmark in the premium environs of the exclusive luxury 2+2-seater segment when it comes to efficient driving pleasure. Their predecessors successfully established diesel technology in this class of car. And now the engine that achieved such acceptance has passed on the title of the world’s sportiest six-cylinder diesel to its even more powerful and economical successor. The BMW TwinPower Turbo technology of the new six-cylinder in-line powerplant comprises sequential turbocharging (Variable Twin Turbo) and common-rail direct injection with solenoid valve injectors. Peak torque of 630 Newton metres (464 lb-ft) is on tap between just 1,500 and 2,500 rpm and maximum output of 230 kW/313 hp arrives at 4,400 rpm. The instantaneously delivered pulling power enables acceleration of 0 to 100 km/h (62 mph) in 5.5 seconds in the case of the BMW 640d Coupé and 5.6 seconds for the BMW 640d Convertible. The fuel consumption and CO2 values of the two diesel models set new standards in their segment. The BMW 640d Coupé has average fuel economy of 5.4 – 5.5 l/100 km (51.4 – 52.3 mpg imp) and CO2 emissions of 143 – 145 grams per kilometre. 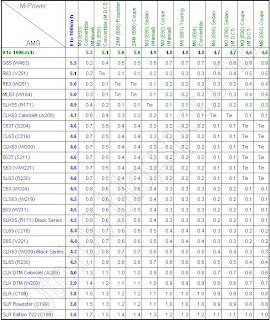 The average fuel economy of the BMW 640d Convertible stands at 5.6 – 5.7 l/100 km (49.6 – 50.4 mpg imp), and CO2 emissions come in at 147 – 149 g/km (as per EU test cycle, depending on tyre format). Like the BMW 640i Coupé and BMW 640i Convertible, the two diesel models are equipped as standard with ECO PRO mode, which promotes an extremely calm – and therefore economical – driving style. ECO PRO mode is activated using the standard-fitted driving mode button on the centre console. 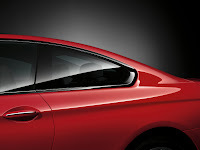 Activating this mode adjusts the accelerator mapping and the shift characteristics of the automatic transmission, and prompts the heating and air conditioning system (as well as other electrically-controlled comfort functions) to work with maximum efficiency. The driver can admire this optimisation of fuel economy in the form of a “range bonus” flashed up in the instrument cluster. Symbols displayed here give the driver tips on how to use the car’s fuel-saving potential in ECO PRO mode to maximum effect. 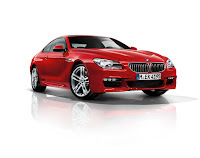 Available for the first time in the BMW 6 Series range: the intelligent all-wheel-drive system BMW xDrive. Variants of the new BMW 6 Series Coupé and new BMW 6 Series Convertible fitted with the range-topping V8 engine with BMW TwinPower Turbo and 300 kW/407 hp can now also be ordered with xDrive. This new weapon in the BMW 6 Series’ arsenal takes the sure-footed authority and acceleration of both models to new levels. The BMW 650i xDrive Coupé powers from rest to 100 km/h (62 mph) in 4.8 seconds, while the BMW 650i xDrive Convertible requires just 0.1 seconds longer to complete the same sprint. The impressively innovative optional equipment also made available for the BMW 6 Series Convertible at the launch of the new BMW 6 Series Coupé includes Adaptive LED Headlights, which use LED units to generate low and main beam and also include a cornering function. The light they generate is extremely close to natural daylight and illuminates the road ahead with rich contrast. 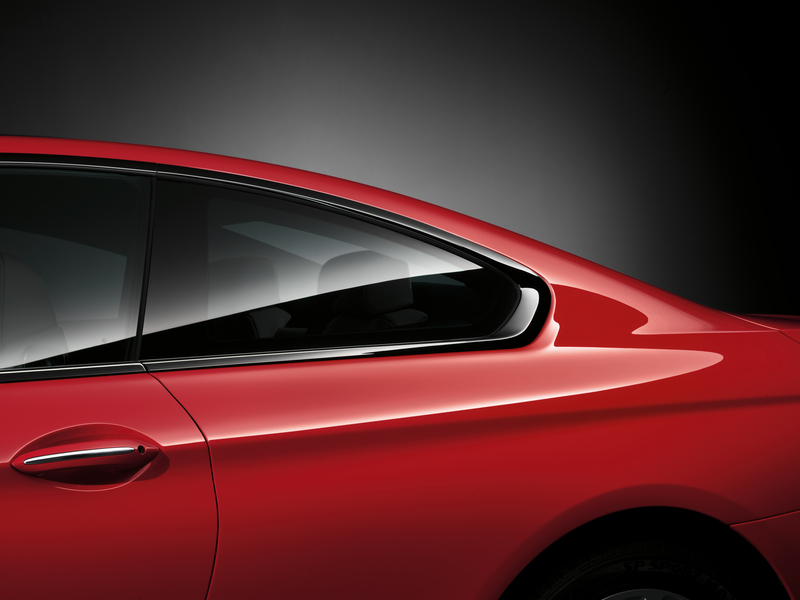 The Adaptive LED Headlights can be identified by the levelled off form – at the top and lower edges – of the twin round headlights. 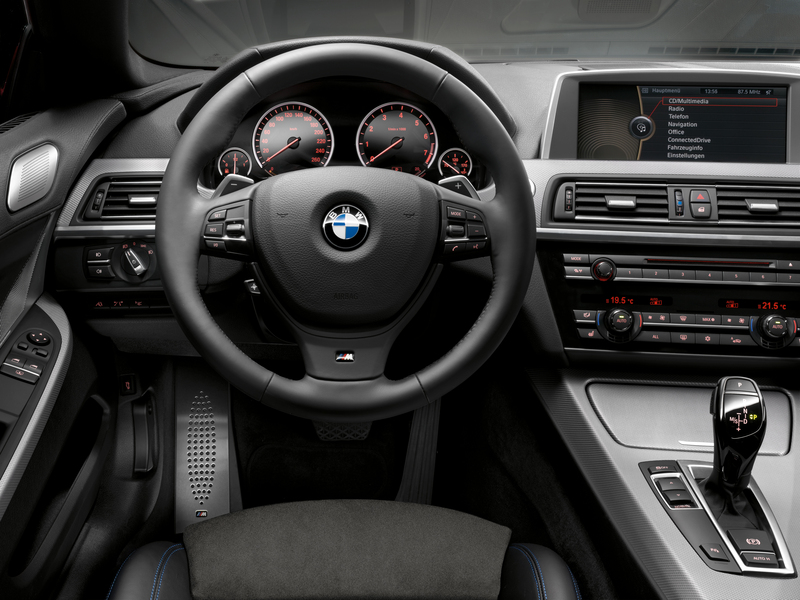 New functions from BMW ConnectedDrive, M Sport package and exclusive options from BMW Individual. 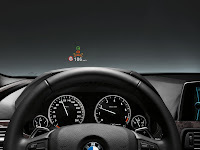 The line-up of BMW ConnectedDrive technology available for both models from autumn 2011 will include Active Cruise Control with Stop & Go function. 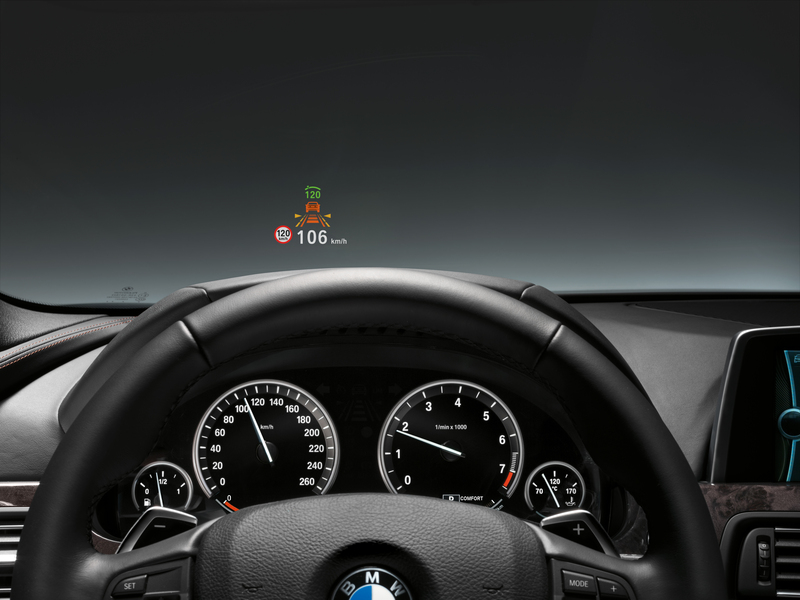 This system also comprises Collision Warning with braking function, which automatically brakes the car for some 1.2 seconds, if required, and uses visual and audible alerts to prompt the driver to brake and/or perform an evasive manoeuvre. The selection of mobility services will be expanded to include the innovative Real-Time Traffic Information congestion warning system. Providing unbeatable audio pleasure on the move is the Bang & Olufsen High End Surround Sound System – developed specifically for each of the two models – with exclusive Acoustic Lens Technology plus amplifier output of 1,200 watts and 16 speakers in the BMW 6 Series Coupé, or 1,000 watts and 12 speakers in the BMW 6 Series Convertible. From autumn 2011, both the Coupé and the Convertible version of the new BMW 6 Series will be available with an M Sport package, which includes features such as an M aerodynamics package, LED foglamps, 19-inch M light-alloy wheels in double-spoke design, sports seats with Alcantara/leather upholstery and an M leather steering wheel. Also available for both models is the BMW Individual range, which comprises – among other features – exclusive paint finishes, light-alloy wheels and exceptionally sophisticated and stylish options when it comes to tailoring the interior of the car to the customer’s tastes.